Helen C. Sanborn, 98, a former resident of Alvadore, Oregon, late of Beaverton, Oregon, died Tuesday morning, January 29, 2019. Private Interment will be held at the Lane Memorial Gardens, 5300 W. 11th Avenue in Eugene, Oregon. HELEN CORRINE SANBORN was born August 7, 1920 in Bedford, Iowa, the daughter of the late Grant Davis and Laura (Trumbo) Davis. She was raised and received her early education in the Bedford community until she was a teenager, when she moved with her family to Seattle, Washington. Helen was a graduate of the West Seattle High School Class of 1937. She was united in marriage to Curtis F. Sanborn on December 14, 1940 at her parents’ home on the farm in Eugene, Oregon. Following their marriage they made their home on Sanborn family farm in Alvadore, Oregon. Helen was preceded in death by her husband, Curtis, on March 15, 1991, after celebrating over fifty years of marriage together. She made her home on the family farm for sixty-five years. In 2004, she moved to the Hearthstone Retirement Community in Beaverton, Oregon, where she had resided for the past fourteen years. Helen was also preceded in death by her brother, Robert Earl Davis. She worked for many years as a bookkeeper for the Emerald Swimming Pool Company in Eugene, until she retired at age sixty-five. Helen and her late husband, Curtis, owned and operated Sanborn Farms on Sanborn Lane in Alvadore, Oregon, harvesting eggs, cherries and prunes. She was a member of the Alvadore Christian Church in Alvadore, Oregon. Among her special interests, she enjoyed playing golf and traveling around the world. For years she and Curtis wintered in Indio, California. Survivors include her three children and their spouses, William and Vicki Sanborn, of Portland, Oregon, Sue and Gene Horton, of Hillsboro, Oregon and James and Sue Sanborn, of Redmond, Washington and her brother and sister-in-law, Richard and Carole Davis, of Eugene, Oregon. Also surviving are her grandchildren and their spouses, John and Shereen Horton, of Hillsboro, Oregon; Jeff and Amy Horton, of Manassas, Virginia; Loralyn and Travis Townes, of Grants Pass, Oregon; Angela and Subu Swayam, of Seattle, Washington; Nathan Sanborn, of Hillsboro, Oregon; Megan and Glen Jones, of Orem, Utah and Ashley and Alan Bruggeman, of Redmond, Washington; her fifteen great-grandchildren and several nieces and nephews. 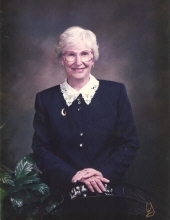 To send flowers or a remembrance gift to the family of Helen Corrine Sanborn, please visit our Tribute Store. "Email Address" would like to share the life celebration of Helen Corrine Sanborn. Click on the "link" to go to share a favorite memory or leave a condolence message for the family.